The star of today’s video is the Sugar & Spice Blush Palette from Makeup Revolution, which I’m not only using on my cheeks, but also on my eyelids. 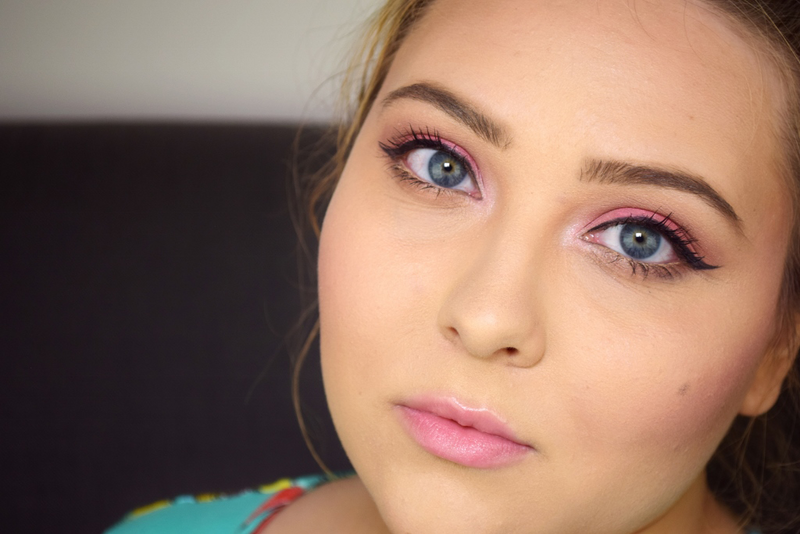 Being a neutral kind of girl, I don’t experiment with bright eyeshadows all that often; however, pink is the one fun shade that is still in my comfort zone and ends up on my eyes whenever I’m feeling particularly cheerful and summery. How are you liking the result? GORGEOUS look on you! You rock the pink look. You look extra beautiful here, Sandra!